We will work with you to develop your part or idea into an optimised, functional and cost effective product. Using our many years of knowledge and experience we can advise on the most appropriate process for your product and using 3D CAD and bespoke simulation software, we will provide a properly engineered solution. At point of order, a detailed engineering evaluation is carried out by all the key disciplines including design, production and quality to help identify any potential issues. Where appropriate, control plans, gauges or any other job specific items can be organised in advance of samples and production. 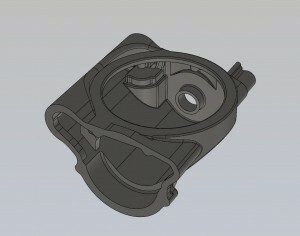 The design phase is the key to producing successful and repeatable quality parts. This will involve the creation of 3D CAD data (required for tool manufacture and casting simulation) and discussion with our customer’s design team to ensure fit and function are clearly understood. The 3D simulation enables us to develop the design with the best possible integrity and is proven to produce top quality castings, right first time and with quality designed in. Design review and evaluation is one of the key stages in ensuring the quality of the manufactured product. Is the tool design viable? Can we manufacture the casting? This proactive approach enables us to develop and optimise the part with consideration to weight restrictions, mechanical properties such as elongation, tensile strength and hardness and function requirements whilst not losing sight of commercial constraints. For more information, please see our Case Studies. Our bespoke 3D simulation software is implemented on all new jobs and is proven to produce castings with extremely high cast integrity and this in turn ensures that the on-going quality is maintained. We repeat simulations until we achieve the highest standard result. Communication and input from the customer is essential at this stage as occasionally design changes are required in order to maximise design for the best casting integrity and most benefits and savings. 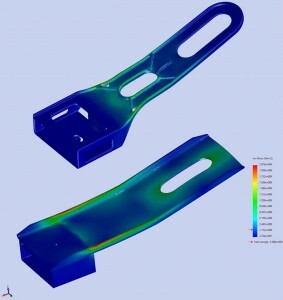 In order to ensure that casting designs meet minimum function requirements, finite element analysis (FEA) can be used to examine loading effects on specific areas of the part. This is especially useful when comparing different processes and enables localised changes to overcome identified issues.